Can a Geothermal System Be Fit with Zone Controls? Posted in Geothermal | Comments Off on Can a Geothermal System Be Fit with Zone Controls? Although we don’t expect to encounter deep chills during the winters in Northwest Florida, we still need to have heating systems ready to help when the weather starts to turn cool. The fall is a good time to start thinking about putting in a new heating system if your home needs one. 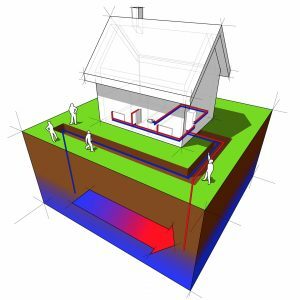 We’d like to suggest that you consider having a geothermal system installed to help heat your home. If You Plan to Replace Your AC This Fall, Why Not Go Geothermal? This is a follow-up on last week’s post, where we discussed ways to tell if you air conditioning system was due to retire and have a replacement put in. If you believe that the time has come to install a new air conditioner, you have many options aside from the conventional split system AC. You could have a heat pump installed, or try a ductless mini split system. Posted in Geothermal | Comments Off on If You Plan to Replace Your AC This Fall, Why Not Go Geothermal?